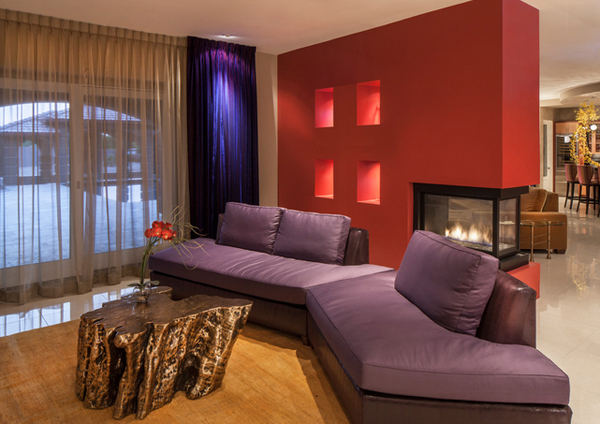 Purple is one fascinating color to add in your space! Not only is it associated with royalty, it is also true that it makes any space look classier and sophisticated – with the right amount and with the right furniture! That is why we have created this list for you to check out and rediscover that whatever hue it is in, one purple sofa or sectional will definitely complete the look for your home, especially in the living room! So for today, we will be presenting you with 20 Engrossing Purple Sofa in the Living Room that will practically complete your day! The living rooms that we collated for this list are all contemporary spaces that include alluring furniture and decor and way too awesome choices for the flooring or accent walls and ceilings. Check out the list below. Dark and in velvet! What more can you ask for? 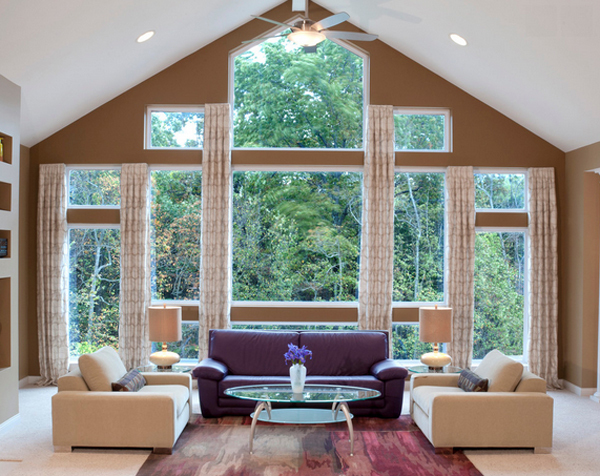 Hues of purple here and there; lovely throw pillow cases and an astounding area carpet – this living area sure is classy! 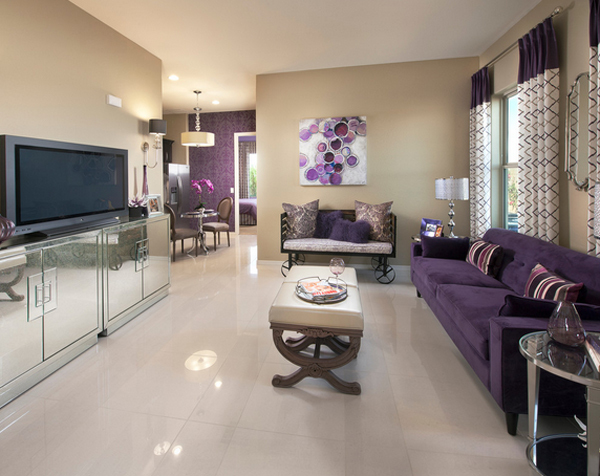 That is one pretty purple sectional with an interesting accent wall on the background. If you can look further in this picture, you will notice a purple wall by the dining area, this could mean that aside from being the main color of the house, the owners might actually love this color. 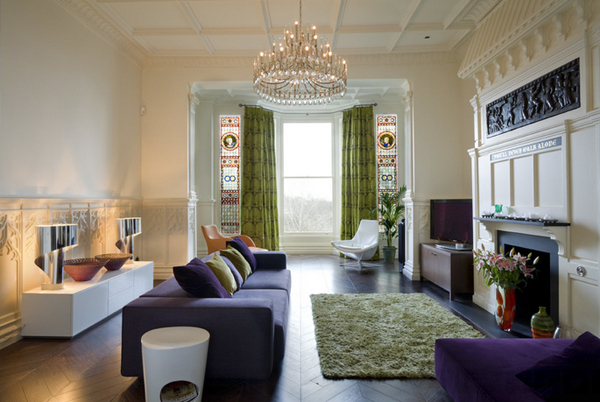 This is one classy and sophisticated-looking living room. Do you agree? Contemporary furniture choices and it sure looks expensive but done with great taste and class! 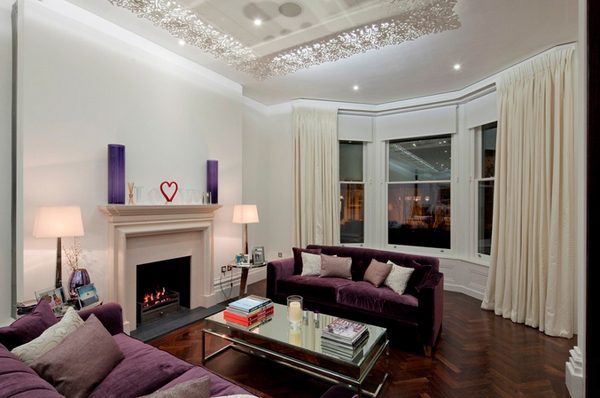 sporadicSPACE sure has great taste in the flooring used in this living room. It really complements with the wall and the ceiling. This foxy sectional sure shows off a different kind of awesome vibe. 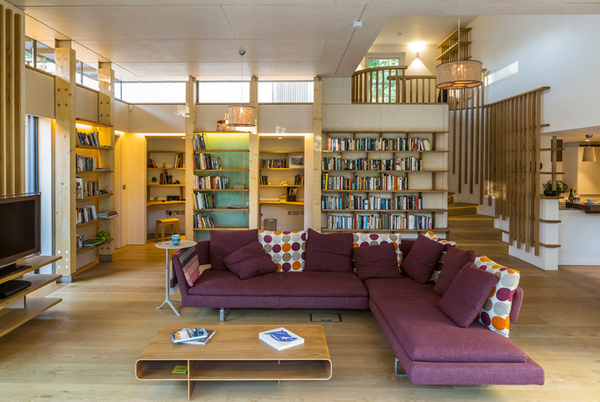 A beguiling living room with all the right furniture and decor! 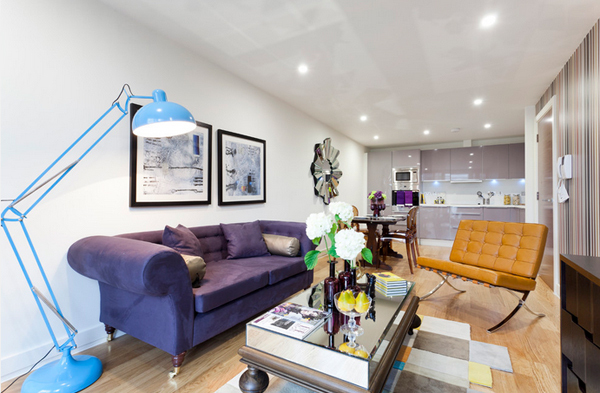 I like the cunning sky blue stand lamp that sure looks modern enough for the purple sofa. 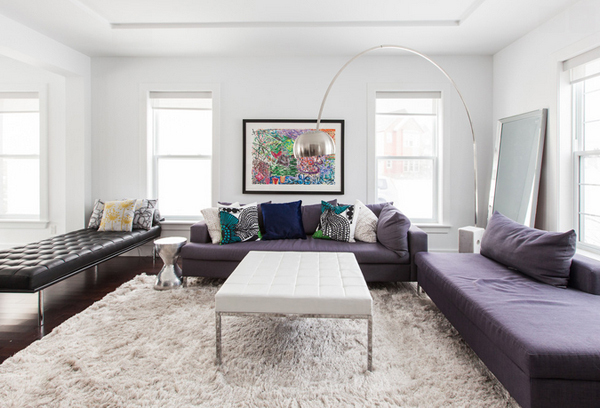 An enchanting furniture set that creates a wondrous vibe for this modern home in St. John’s. If you are not magnetized with this small and cozy premier living room, I do not know what will. 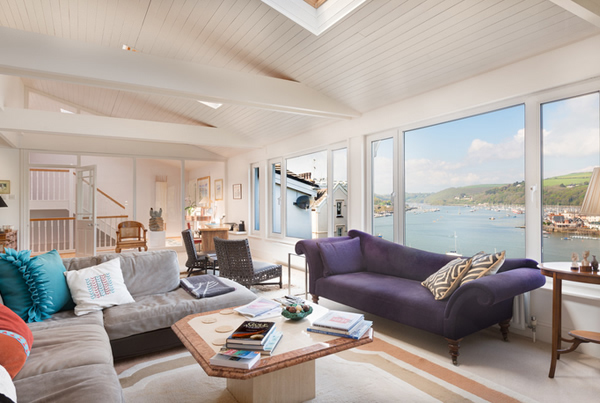 Another alluring example of a Cleopatra in a lovely living room with an astonishing view! The high windows makes this space like a church or something similar – cathedral windows are really charming and special; just like the cute furniture pieces we see in this picture. 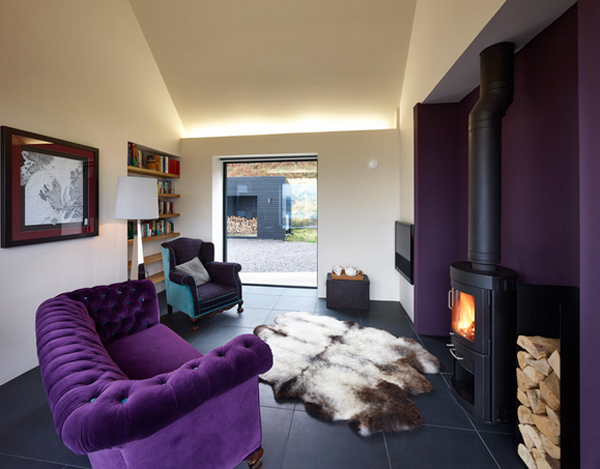 One small living space in a Scotland home – we see a cute sofa, an accent chair, one cowhide carpet and a contemporary fireplace! Z Gallerie offers a lot of wonderful designs of contemporary furniture! Check them out! I’m not sure about you guys, but this sectional is rather appealing to me especially that it was paired with a beige area fluffy carpet. 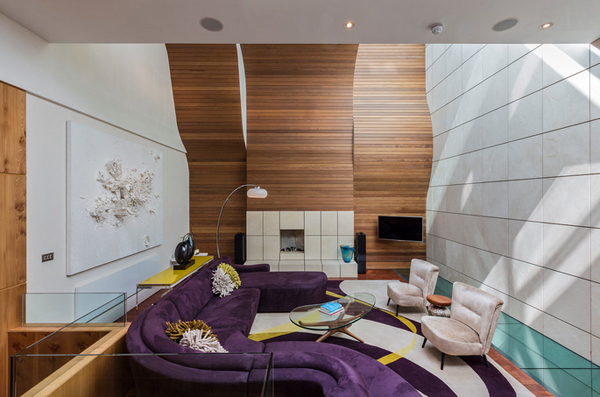 Isn’t that one stunning purple sectional? Sure makes this living room more interesting and fun? 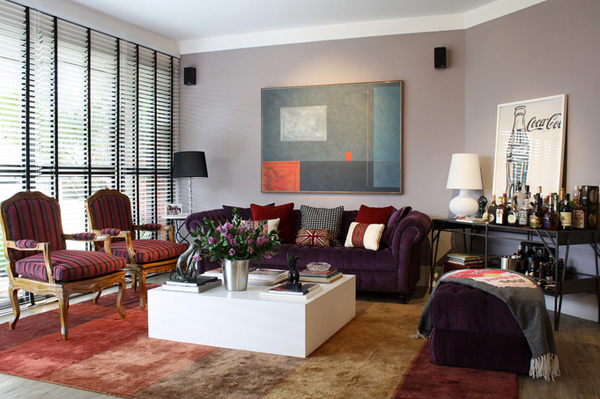 If you have one small living room like this one, adding a purple sectional like this one would surely fit any light colored space! I know I love the coffee table first and then the red wall with a fireplace, but, I’m sure that the sectional will surely be loved and adored. 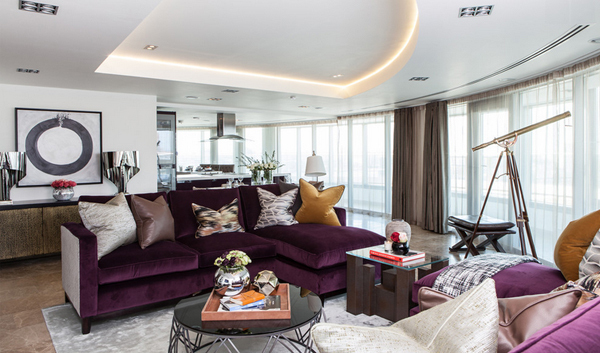 If this list of 20 Engrossing Purple Sofa Living in the Room takes your breath away, I’m sure that the other spaces withpurple accents will interest you too! They are both wonderful lists that show off living rooms that are beautiful, classy and at some point, rather expensive – but we all know is worth it!